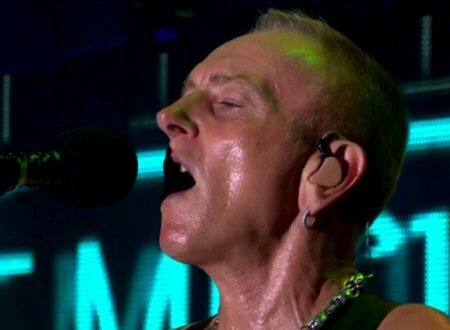 Def Leppard guitarist Phil Collen was interviewed in February and mentioned the next studio album. Phil spoke to Gary Graff of the For Guitar Players Only website. Phil talked about the G3 tour, his guitar playing, playing in DL/Delta Deep, Blues guitar players, Def Leppard's digital/streaming deal, the next studio album, Pyromania's 35th anniversary and the band's success. He mentioned work on the next studio album was ongoing. "When people say: “Any new Def Leppard stuff?” Yeah, we’ve got some new stuff, but it has to be on the back burner, ’cause we’re kind of promoting the whole catalog now. I work on stuff all the time, and so do the other guys. It’s a constant flow, and then it’s just a matter of actually recording them. I like to do things in bits and pieces, the way we approached the Def Leppard album or the Sparkle Lounge album; you’re not working at this big glut where you have to finish all this music, it’s just ongoing and constantly inspired. Then the album is a jigsaw puzzle; you’ve got this song and the pieces just present themselves and fit together, and it’s very interesting."